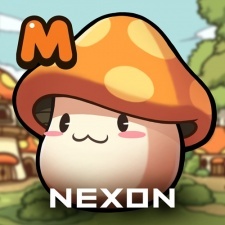 Nexon’s MMORPG MapleStory M has racked up five million downloads globally. Initially launched in South Korea back in October 2016, the game received a global release two weeks ago and hit the three million downloads milestone within a week of that. MapleStory M is currently sitting at the number one spot in the iOS App Store for the highest grossing game in five countries and the top 10 in 12, including Singapore, Malaysia and Hong Kong. The MMORPG has also recorded a similar feat on Google Play and sits within the top 10 in nine countries, including Taiwan, Singapore and Thailand. Success hasn’t been limited to the East with the title sitting at 21st in the highest ranked games category in the Google Play Store in the US. The game is also at 45th in the same category on the iOS App Store. To celebrate the feat, Nexon is set to host a special in-game giveaway event and will provide exclusive rewards to players who log in from August 8th until August 18th.